« Boardman 20 Year Anniversary – Special Edition TK20 Track Bikes – Pre-Order NOW! 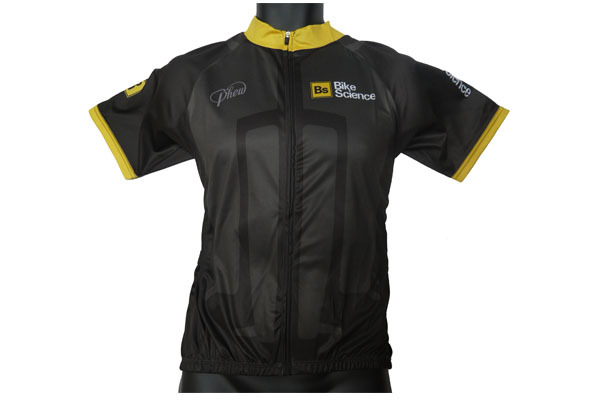 Phew – Bike Science Team Issue Jerseys In Stock NOW! We’re always getting asked about our “conspicuous” team kit at events. It’s been described by more than one person as looking like an “angry wasp”. So many of our customers love the design, that, thanks to our new sister clothing brand “Phew” we’ve finally got around to producing a version for general sale. More tasteful than the let’s face it, garish team gear but just as cool. This entry was posted on Friday, August 3rd, 2012 at 2:32 pm	and is filed under All Posts, Products. You can follow any responses to this entry through the RSS 2.0 feed. Both comments and pings are currently closed.